Delicious sautéed shrimp with whiskey sauce. One of the most common tapas served in Seville is solomillo al whiskey (pork loin in whiskey sauce). Oily, garlicky, and delicious, I was hooked from my first bite. Strangely enough this yummy sauce hasn’t made its way up to Madrid, and while I’m sure someone in town serves it I’ve yet to see it in any local tapas bar. Today I’d like to share a variation of this dish, shrimp in whiskey sauce. It is a little less garlicky than the original, but works really well with jumbo shrimp or tiger prawns. Shrimp in whiskey sauce is an easy and impressive dish that you can serve with just about anything! Depending on how you purchased the shrimp, you have various ways to prepare them. 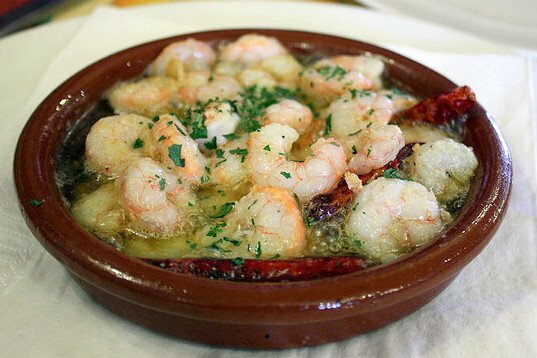 In Spain, it is typical to buy the prawns whole, and not to devain them or peel them prior to preparing. This will give the sauce a richer flavor, but you need to be sure the prawns are fresh when preparing them with their heads attached. You may also choose to buy them already shelled, with only the tail attached for asthetics, and devained. 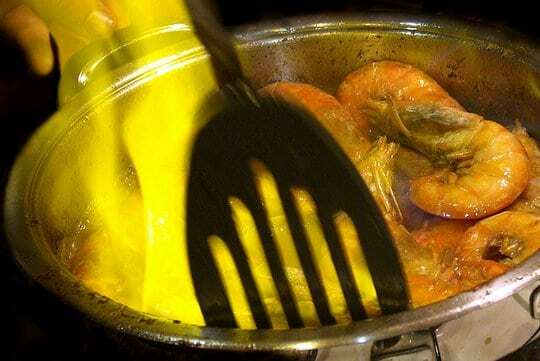 Once you have the raw shrimp prepared to go into the pan, heat the olive oil in a wide skillet (you don't want to crowd the shrimp) over a high heat. When the oil is almost smoking (but not quite) add in the prawns and let cook for about 40 seconds per side, sauteeing them bit to coat them evenly in the oil. Add the garlic and give everything a quick sautee, then remove the prawns with a slotted spoon and let them rest on a plate. Add the cup of whiskey to the skillet and lower the heat. Let the sauce reduce about ⅓. Add the lemon juice and let it simmer for a few more minutes. Add back in the shrimp and coat with the sauce. Add in the butter and finally the parsley. 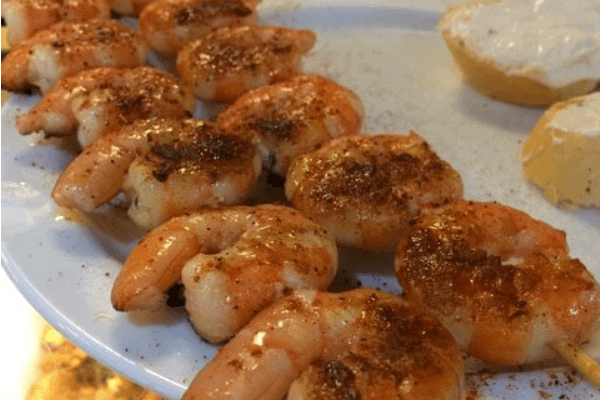 Shrimp in whiskey sauce is a surprisingly quick and delicious dish to make, and the sauce can be used for other proteins as well (swordfish, chicken, and rabbit). Try it and let us know what you think!